First, I want to remind Thom, the winner of the Pocket Dictionaries, and Maestro Abraham Armenta, the winner of Linguistics for Students of New Testament Greek, to send me your address. Now that that’s outta the way . . .
Each book will be given away individually. All you have to do is tell me which book you want (you can say all three). If more than one person requests a specific book , I will draw a name at random. Giveaway ends this Saturday (12/14/13) at noon. Disclaimer: Due to shipping costs, I can only ship within the continental U.S. This entry was posted in Book Giveaway and tagged B.B. 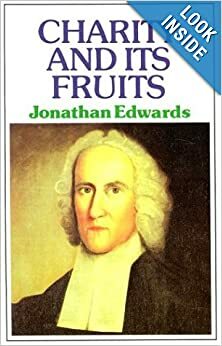 Warfield, Charity and Its Fruits, Inspiration and Authority of Scripture, Jonathan Edwards, Richard Baxter, The Reformed Paster. Bookmark the permalink. If nobody claims them I will take them. I’m getting ready to restock a church’s library. I would love all three, but especially Mr. Edwards’. I’d be up for the Warfield volume. Thanks for everyone’s participation. Please send me your address to jacobncerone@gmail.com. The books will go out in the mail as soon as I get your info!